Our goal, with every visit, is to create the very best of positive experiences. We understand that many of our new and prospective new patients are fearful of what may occur in a chiropractic office. In order for us to get our patients well we require ongoing visits so that each visit is allowed to build on the previous one. We understand the fear of the “unknown” perhaps inhibits or prevents people from visiting our centre. Knowing that, we strive to deliver the most positive chiropractic experience possible. Our office atmosphere is designed in such a way to help our patients, even visitors, relax and feel at ease. The time we spend ensuring we explain everything, in advance, helps our patients focus on the information we are sharing with them about their health and our ability to help them get well and stay well. “I felt an instant bond with my chiropractor.The office staff is always there to help and accommodate. The office is a pleasant and relaxing setting…I was amazed after my first visit”. Check us out further, through our website, and get to know more about what we do. Then, contact our Halifax chiropractic office to make an appointment so we can get to know you. Third and Ongoing Visits. A typical visit will be much shorter, but just as important! Your first visit to our office will last approximately an hour. Upon your arrival, our staff will greet you and guide you through the process of your first visit with us. 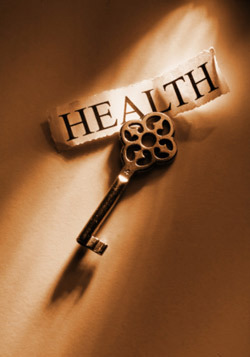 Your initial health questionnaire will be collected from you and your file will be prepared for you to see the doctor. (Please note: This questionnaire is found on our website and you will be asked to complete it prior to your first visit at our Centre. Our detailed health questionnaire is designed for us to better understand your present and past medical history. If you are unable to complete these forms ahead of time, please arrive 20-25 minutes ahead of your scheduled appointment). A brief tour of our office will be conducted to familiarize you with our clinic and its services. Various health scans and preliminary tests will be conducted by our health assistant(s), in advance of you seeing the doctor. The doctor will listen carefully and take into consideration any personal health goals you have set for yourself before conducting a thorough consultation and health exam to determine how we may best assist you in the recovery and/or maintenance of your most valuable asset-your health! Upon completion of your first visit with us, our front desk team will reserve a special time for you to return, so that the doctor may review our findings and present to you a schedule of care to help you feel well and achieve your health care goals. Your second visit with us will last approximately 30-40 minutes. The purpose of your second visit is so that we may review our findings with you. We call this time reserved for you the Report of Findings visit. During the report, Dr. Joanne will include in her plan for you additional ways to get well and stay well. This plan will include your diagnosis, your treatment plan, home care recommendations and additional things you may wish to consider to assist with the healing process. It is at this time that you will receive your first Adjustment (correction). In certain cases, it may have been required to deviate from our process or to perform a First Day Emergency Chiropractic Service on your first visit. Dr. Joanne will use her professional judgement to determine when or if we will deviate from this process. Every situation is different. It is important to remember that each adjustment (corrections) is a sequence of corrections intended to build on previous adjustments. This is an important part of the process of putting you on the road to recovery. Should you have to cancel an adjustment, our staff will do their best to reschedule this missed appointment to help keep you on your schedule of care. It is this schedule that will assist you in reaching your goals that you and the doctor have laid out in your report. Our goal is to ensure that you understand the nature of your condition and what actions are required, both on the part of our team, and you to get you well. Participating in your recovery will help us get you the best results! Prior to the completion of your Second Visit in our office, a member of our team will familiarize you with our adjusting rooms and what you can expect on future visits. Once you and the doctor have reviewed your plan, a member of our health team will determine your preferred days and times so that we may attempt to schedule your appointments, at the most convenient times possible. Your third visit with us will last approximately 20 minutes. This appointment is a follow up appointment to your previous visit. The doctor will determine your initial response to your first adjustment which you received at your second visit, and continue the series of corrections (adjustments) that will assist your body with the healing process and restoration of your body towards better health. Our Chiropractic Assistant(s) will also review our office policy and procedures with you in order to help make each visit to our office a pleasant and speedy one, and answer any questions you may still have! We understand that our patients lead busy lives and our goals are to ensure that you are receiving the very best care in a timely and cost effective fashion. As a result, we have designed our practice to help reduce wait times and put procedures in place that assist us with prompt delivery of service. We also offer flexible payment plans to help make your care more affordable. Ongoing regular office visits will last approximately 5-10 minutes as you receive your regular adjustments as part of your schedule of care. Ongoing adjustments are an essential part of your care that assists your body in relearning healthy patterns that promotes healing. But don’t’ think that the brevity of regular visits lessens the effect. An adjustment has a very big impact on the health of the spine and nervous system. Missed visits can cause the loss of or lessen the momentum needed to make the necessary changes. Long appointments are less frequent and are only scheduled at periodic intervals that will be arranged with you, in advance. These appointments may last approximately 20-30 minutes and are designed to assist the doctor in performing interim or progress evaluations to monitor and document your progress. From our family to yours, we look forward to caring for your health now, and in the years to come!